This is a picture of Zayley (female) sitting in her favorite spot - her bath tub. She will be two in September. I am SO jealous. She is adorable. I wish that when I get mine it looks like that. 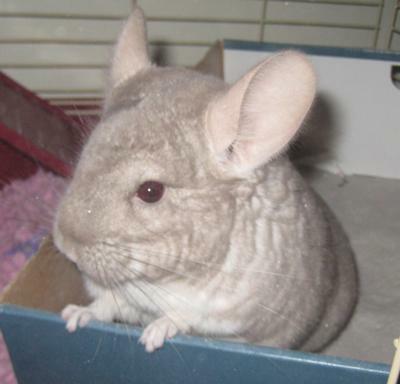 She is adorable my chinchilla 's name is Chilly and he is 1[one] years old!!!!!!!! I love it when they pose!